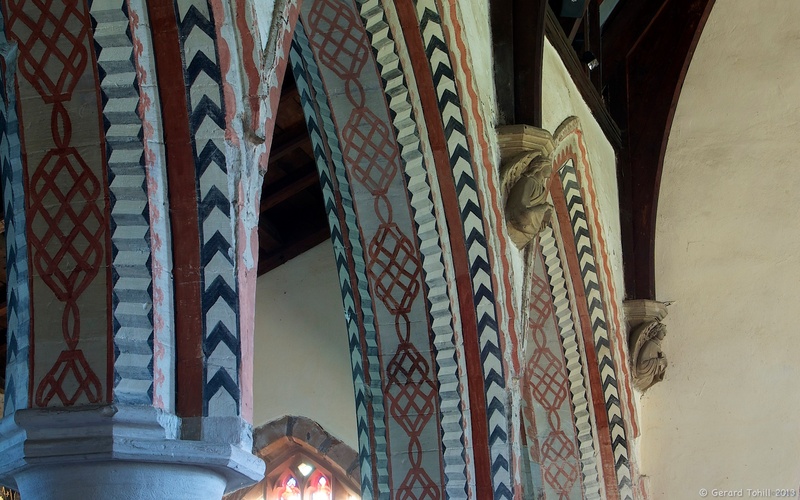 I couldn’t resist photographing these lovely painted arches. No flash – just a tripod and a 13 second shutter speed did the job. Thank you. I’m not sure, but I think the paintwork, while itself new, is a copy of how these would have looked in medieval times. Very colourful.